Appraisal Industry Affiliations | Global Valuations & Consulting, Inc.
Mr. Spears is an accredited Senior Appraiser holding the coveted ASA designation from the American Society of Appraisers, a professional society dedicated to fostering excellence in its membership through education, accreditation, publication and other services. ASA, founded in 1936 and incorporated in 1952, is the oldest and only major appraisal organization representing all of the disciplines of appraisal specialists. It is one of eight major appraisal societies that in 1987 founded The Appraisal Foundation, a national nonprofit organization created to establish uniform criteria for professional appraisers. The American Society of Appraisers is a world renowned and respected international organization devoted to the appraisal profession. ASA is the oldest and only major appraisal organization designating members in all appraisal specialties. Since 1989, The Appraisal Foundation has been recognized by the U.S. Congress as the source for the development and promulgation of appraisal standards and qualifications. Mr. Spears practices all appraisal disciplines including real property, tangible personal property and intangible personal property. The Appraisal Foundation, a not-for-profit educational organization dedicated to the advancement of professional valuation, was established by the appraisal profession in the United States in 1987. Since its inception, the Foundation has worked to foster professionalism in appraising. It is recognized by the U.S. Congress as the source for the development and promulgation of appraisal standards and appraiser qualifications. The Uniform Standards of Professional Appraisal Practice (USPAP) are the generally accepted standards for professional appraisal practice in North America. USPAP contains standards for all types of appraisal services including real estate, personal property, business and mass appraisal. The Royal Institute of Chartered Surveyors (RICS) is the world’s leading professional status in land, real estate, infrastructure and construction. The institute regulates and promotes the appraisal profession, maintains the highest educational and professional standards, private clients and consumers via a strict code of ethics and provides impartial advice and guidance to all its members. Our professionals keep businesses running, cities functioning, economies working, our whole world turning. Our mission at RICS is three-fold: to qualify and equip our professionals to the highest level, to promote and enforce standards and to lead solutions to the major challenges facing the built environment through professional expertise. RICS Valuer Registration provides a benchmark of integrity that banks and financial institutions are increasingly asking for as a prerequisite to valuation instructions. The standards we champion are viewed by financial institutions and governments worldwide as the ‘gold standard’ when it comes to professional assurance in the land, real estate, construction and infrastructure sectors. Mr. Spears is a member of The National Association of Realtors and a Florida Licensed Real Estate Broker. 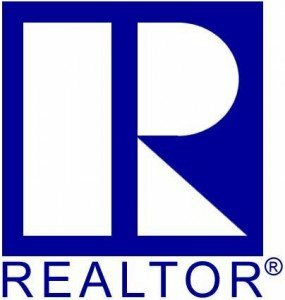 The National Association of Realtors strives to be the collective force influencing and shaping the real estate industry. It seeks to be the leading advocate of the right to own, use, and transfer real property; the acknowledged leader in developing standards for efficient, effective, and ethical real estate business practices; and valued by highly skilled real estate professionals and viewed by them as crucial to their success. Working on behalf of America’s property owners, the National Association of Realtors provides a facility for professional development, research and exchange of information among its members and to the public and government for the purpose of preserving the free enterprise system, and the right to own, use, and transfer real property. By earning our CIPS Designation, Thomas G. Spears gains access to the CIPS Network. This members-only group is specifically for international practitioners of the National Association of REALTORS®. Comprised of over 2,000 real estate professionals specializing in all types of real estate, the CIPS Network provides a 360° view of the global market. In any type of international real estate transaction, members are consumers’ best and most trusted resource for navigating the international market. Mr. Spears has earned the RSPS certification, it is the only resort and second-home certification endorsed by the National Association of REALTORS®, RSPS is for those REALTORS® in resort and second-home markets around the world who wish to distinguish themselves from their peers. Established in 1975, the National Association of Review Appraisers and Mortgage Underwriters is an organization dedicated to maintaining professional standards and promoting ongoing education in the fields of Appraisal Review and mortgage Underwriting. The growth and recognition which NARA/MU and its members have experienced is an obvious indication that these specialized fields were long overdue in being represented on a professional basis. NARA/MU membership consists of members representing international corporations, banks, thrifts, insurance companies, accounting firms, law firms, and private real estate lenders. Virtually all the major Federal agencies are represented as are hundreds of State and local government agency real estate professional. In addition, NARA/MU membership includes a substantial number of independent real estate appraisers and consultants who are involved in reviewing and mortgage underwriting. Federal and State regulators are requiring that lenders have a sound policy for the Review Appraisals and an overall quality control program for Underwriting. NARA/MU has been showing lenders and other real estate professionals how to establish these kind of programs since 1975 through information and education. Members are not only recognized as the most experienced and competent in the industry, many are making the rules that the industry must follow. Founded in 1966, the National Association of Real Estate Appraisers (NAREA) is an organization of highly qualified real estate professionals. It is one of the largest professional associations in the America, with members in all 50 states. Many are expert witnesses, review appraisers, educators and published authors. In addition to creating an unrivaled opportunity to stay on the cutting edge of industry news and developments, NAREA offers several designations making it the most valuable networking and promotional tool for appraisers. The core purpose of the Realtors® Association of the Palm Beaches (RAPB) is to enhance its members’ ability and opportunity to conduct their real estate businesses professionally, ethically, successfully and profitably. The International Consortium of Real Estate Associations (ICREA), a Consortium of the world’s leading real estate associations, is committed to the right to own and transfer real property. ICREA sets standards for international real estate practice and facilitates worldwide real estate transactions through its website. Mission Statement: The GNFCC is the catalyst for economic development, business growth and quality of life in North Fulton. The GNFCC is a proactive non-profit business advocacy and community development organization with over 1400 companies involved with us. We cover the cities of Alpharetta, Milton, Johns Creek, Roswell, Mountain Park and Sandy Springs, but have many businesses involved with us outside of this area who want to have a presence in this region.